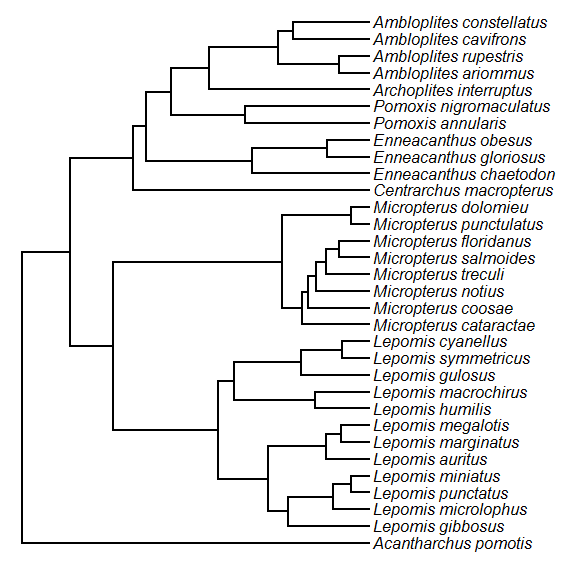 I also just built and posted a new minor phytools version (v0.2-13). The source code can be downloaded here. 1. Minor bug fixes to densityMap. 2. 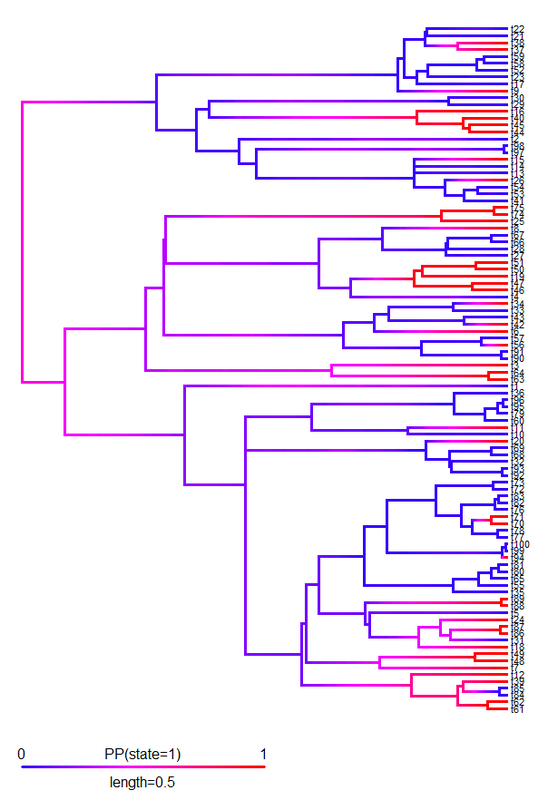 New functions roundBranches and applyBranchLenghts (see code here). 3. Minor bug fix for rescaleSimmap to correctly handle a "multiPhylo" object. 4. Various major bug fixes to phyl.RMA. 5. 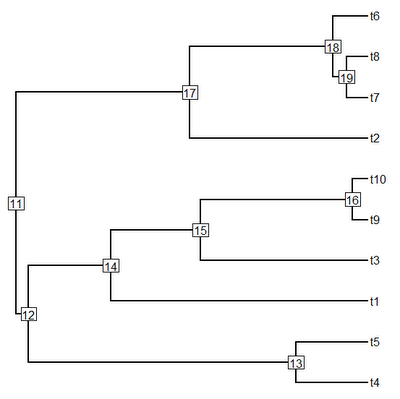 New function for plotting a tree in multiple columns, splitplotTree. 6. New function for adding a tip to the tree, bind.tip. 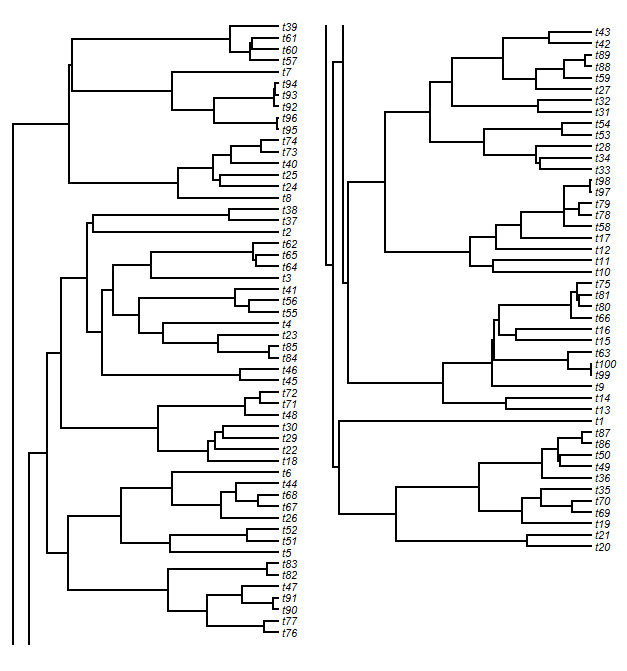 I am trying to implement Liam Revell's suggestion on the evaluation of Pagel's lambda simultaneous to fitting PGLS to minimize the effects of wrong model selection (OLS vs. PGLS) on species data (i.e. 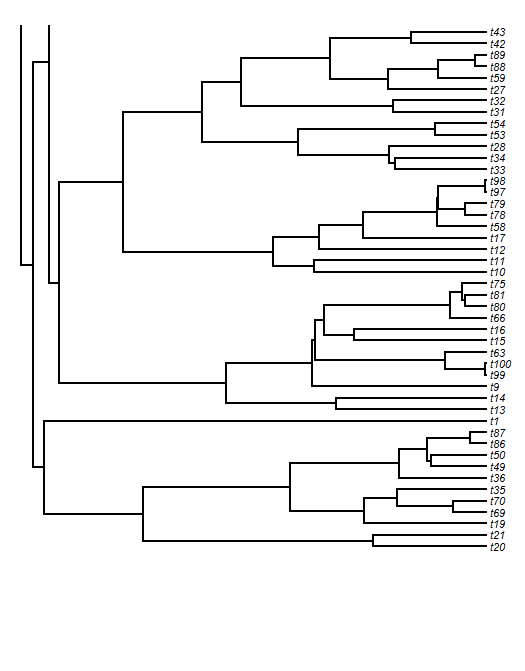 Revell 2010, Methods in Ecology and Evolution 1: 319-329).Does anyone know if this kind of simultaneous optimization of lambda and PGLS parameters is presently implemented in R? The obvious place would be phytools, but I could not find anything similar in that package. I have a large phylogeny to which I need to add branches of a certain length (new taxa) at specific nodes. I have experimented with bind.tree (ape) and paste.tree (phytools) but they only let you bind trees to together. 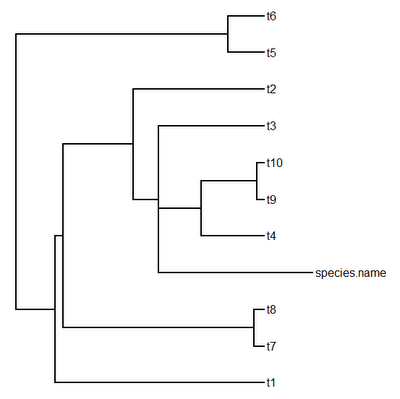 I can cobble together code that adds a 2 species tree and then erase one of the tips using drop.tip but this is difficult given how the node labels change. 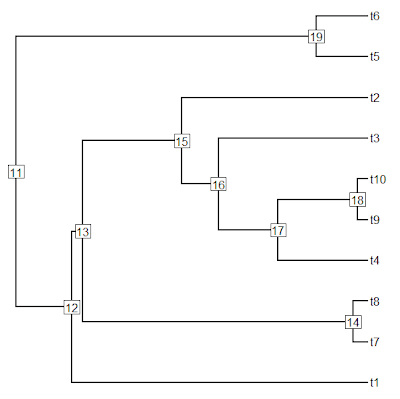 I want to automate this process because I have ~180 additions to make and I want to repeat the additions using branches of different length. 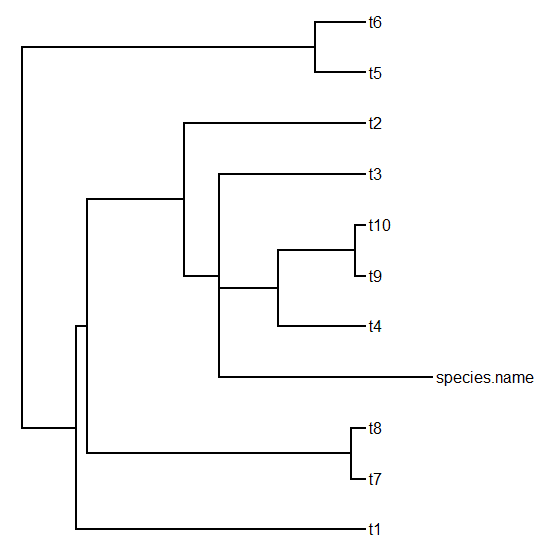 Ideally I would like to have a function where I input the node number to which a branch should be added, the length of that branch, and the name of the tip. 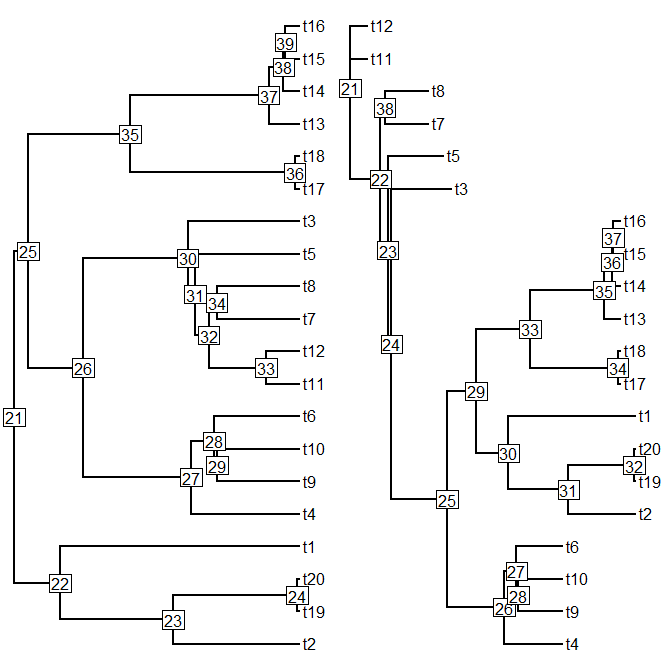 It seems like the basic problem is not that bind.tree and paste.tree don't work; but rather that they only attach two bifurcating trees together, and the user wants to attach one tip to a tree. 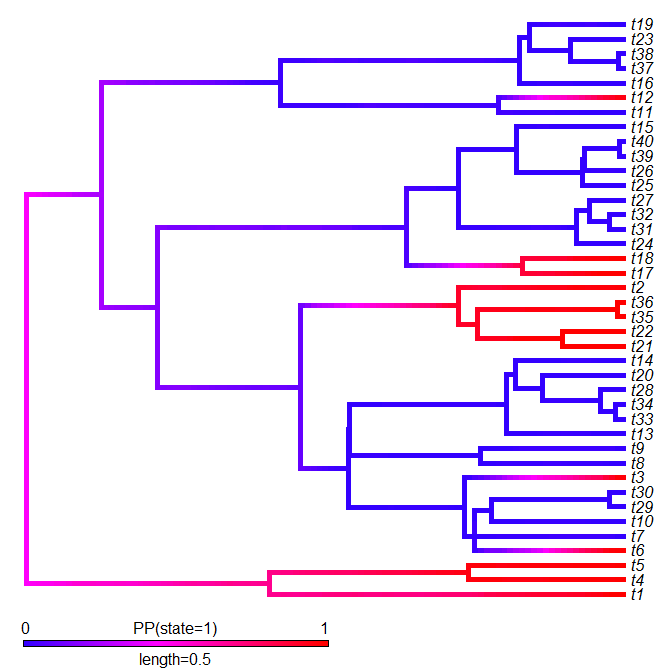 I'm wondering if there is a way to plot a phylogeny in R that is broken up and displayed side by side to condense space. 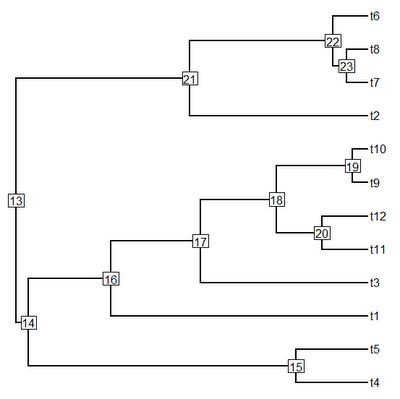 I've made a backbone in R that i'd like to make into a figure, but it is too tall. If this isn't the write setup, could someone suggest what program (and format for me to write.tree) from R. I am using windows, in terms of potential third part programs. Well, I thought this sounded like a neat idea. 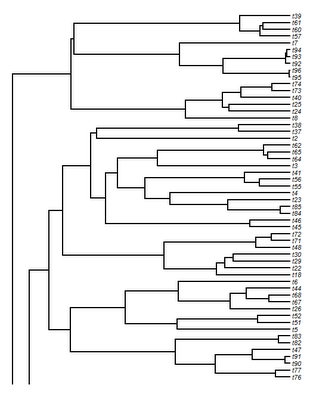 We often see trees plotted this way in published articles, but there is no native function in R to produce this kind of plot. 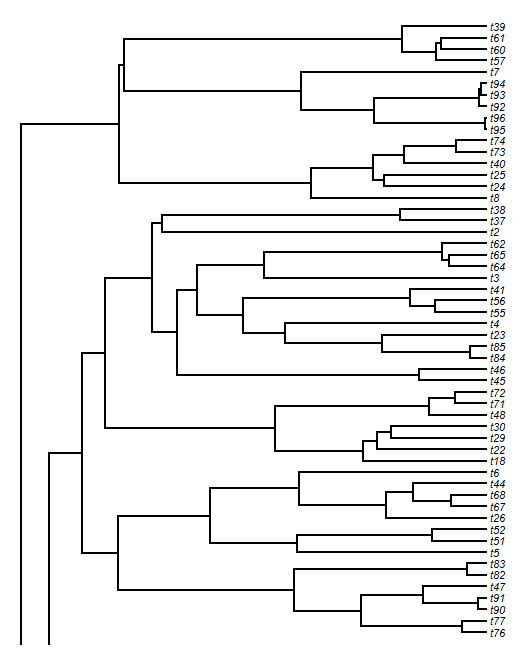 Unfortunately, I didn't have time to work on this until recently - so most likely, the author of the R-sig-phylo question has already solved this problem in some other way. Nonetheless. . . . . Ignoring Luke (as is my wont), I just posted a function for this anyway. 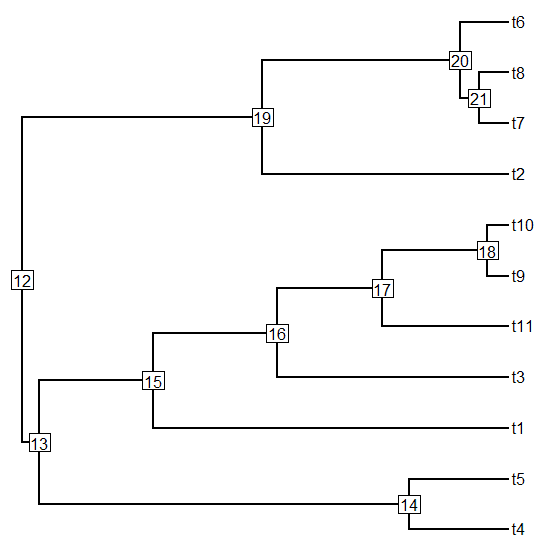 The function, splitplotTree, can be downloaded from my phytools page (direct link to code here). 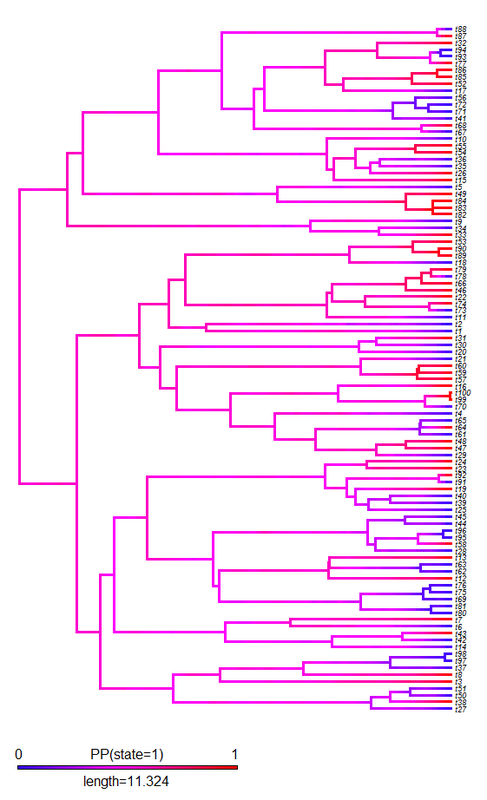 A little bit about how I did this. . . . To plot a phylogram we need two coordinate matrices: a matrix for the heights of the nodes above the root; and a matrix for the vertical position of the edges. We get the former for a "phylo" object by using (say) nodeHeights in phytools. 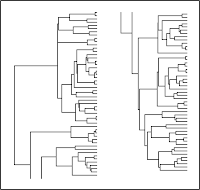 To get the latter, we can just evenly space the tip nodes on our vertical axis (for a rightward facing tree); and then work down through their common ancestors to the root, averaging the vertical position of the descendant nodes to obtain the height of each parent. 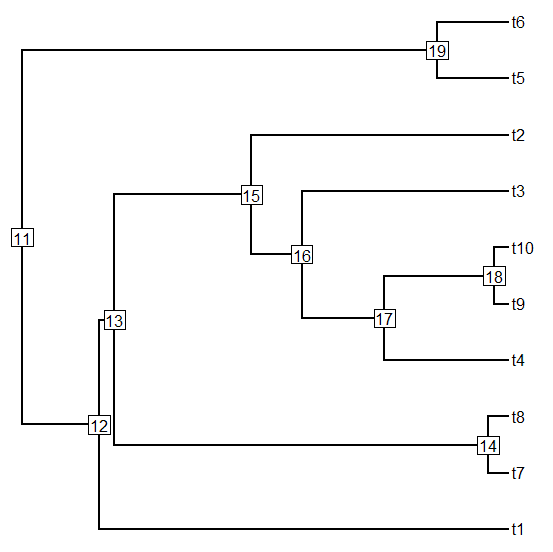 Note that the vertical position of the tree is automatically adjusted so that the spacing of the tips is equal in both panels. 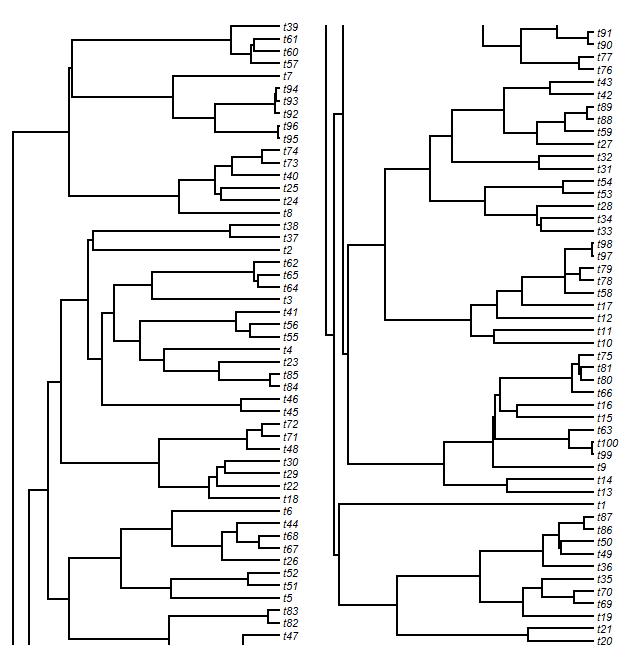 If we would rather plot our tree in two windows, rather than in side-by-side panels (say, for publication across two journal pages), we can do that too. What's odd is that with R 2.15.1 and the previous version of phytools, it ran perfectly. But today I updated to R 2.15.2 and the latest version of phytools, and it's a no-go. Any idea what's going on here? Turns out, though, that the association with R 2.15.2 is completely spurious. The real problem came when I moved the code for various utility functions out of the functions that used them, such as phyl.pca, phyl.cca, and, lo & behold, phyl.RMA. As it turned out, some of the argument list order differed between different iterations of internally called functions (the culprit in this case was lambda.transform). The phytools blog has a new URL: blog.phytools.org. This should not affect the way readers experience the phytools blog, and all old links with the phytools.blogspot.com URL should be unaffected. In addition, the URL www.phytools.org should automatically redirect to the phytools development page. After nearly two years and over 300 posts, I decided to make some minor changes to the theme & background of the blog. The most obvious one is the the updated background image & color (reproduced here at right). 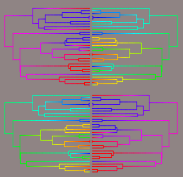 Since the original background image (a radial tree with a multicolored stochastic mapping) was created before phytools had any graphical functions (and, in fact, before the package formally existed), I thought the update was overdue. The new images were created using densityMap and contMap with some very minor post-hoc editing. 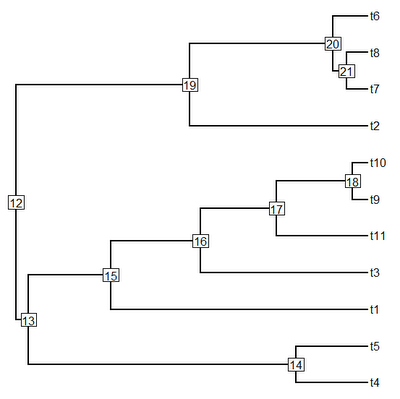 Following my new function, densityMap, for mapping the posterior density for a discrete character from stochastic mapping on three tree (1, 2), it seemed natural to do a quantitative trait version. 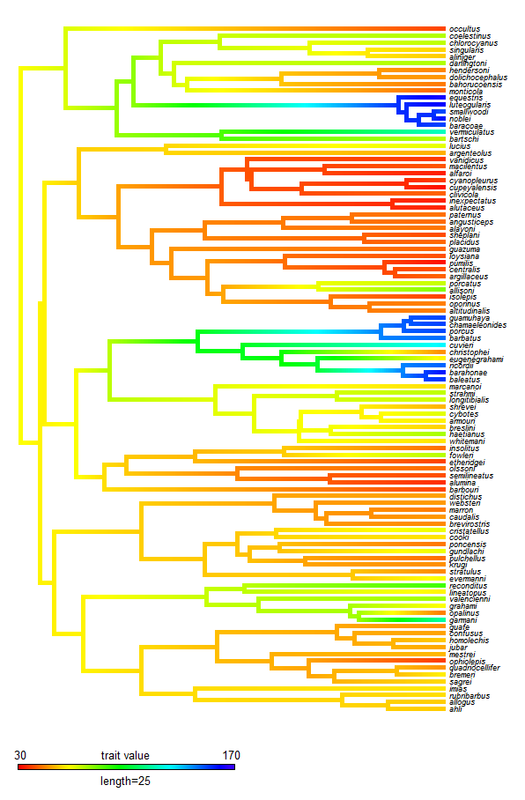 In this case, we just compute the ML ancestral character states at the nodes under some model (say, BM); fraction the ends into many small pieces; interpolate the states along all the edges; and then map the ancestral states to a color scheme. Note that I am interpolating using equation (3) from Felsenstein (1985), which I believe will give me the correct set of internal states. I have programmed this in a new function, contMap (continuous trait mapping), which I will soon post to the phytools page. 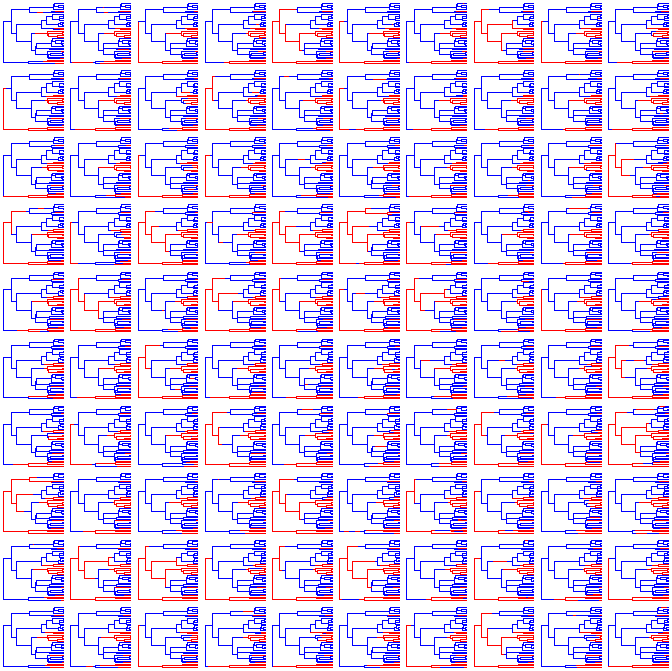 I just posted a new version of the function to plot the posterior density of a binary character mapped on the tree using stochastic character mapping (described here). 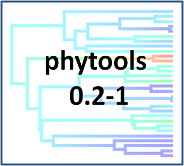 The updated code is on the webpage for phytools, but if you want to use this function version, you are probably better off updating to the most recent, minor release of phytools, v0.2-04, here. This is because I also had to make some changes to the phytools functions plotTree, plotSimmap, and densityMap, so doing a package update from source is the best way to ensure that you have the correct versions of each function installed. The biggest difference between this version of densityMap and the previous one is that in this version more control of how the plot looks has been migrated to the user. 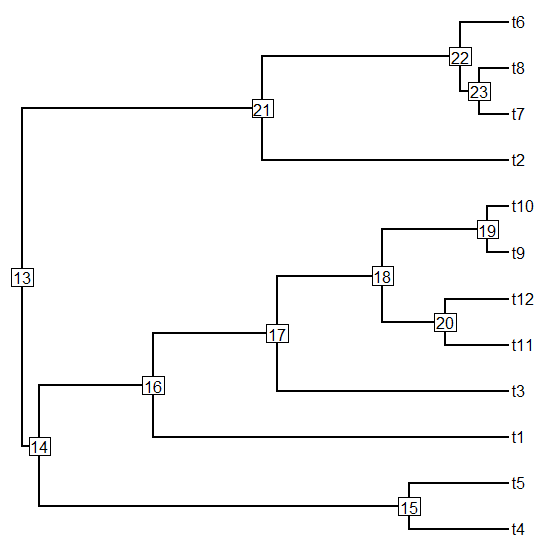 In particular, the user can control the width of plotted edges as well as whether or not to display a fine black outline around the lines of the tree graph. 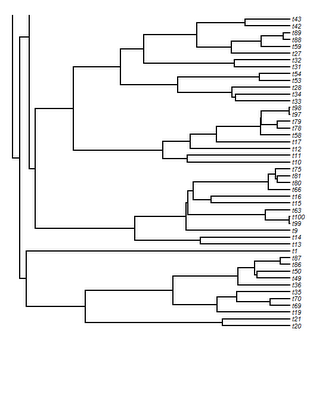 These may seem like minor changes, but to plot the outline I first use plotTree to plot a tree with lwd+2 width edges. 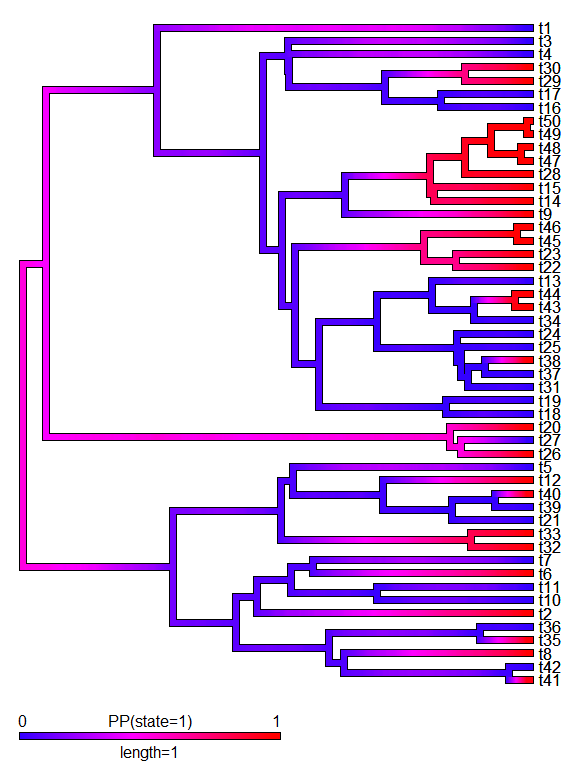 Then I overlay the densityMap tree. 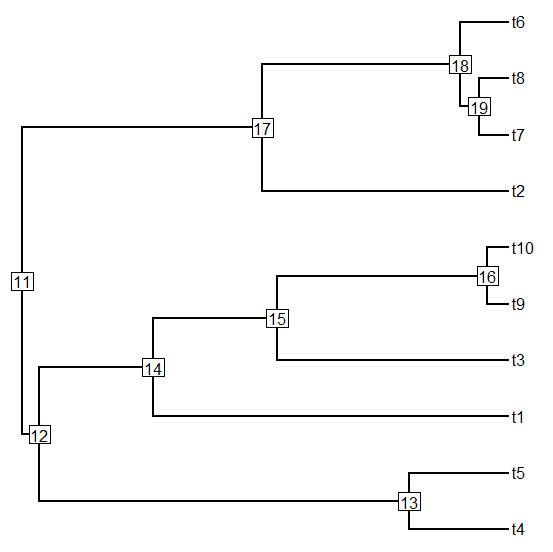 To do this, I had to modify plotTree (which is actually just a wrapper for plotSimmap) so that it could be used to plot multiple trees in the same plotting object. 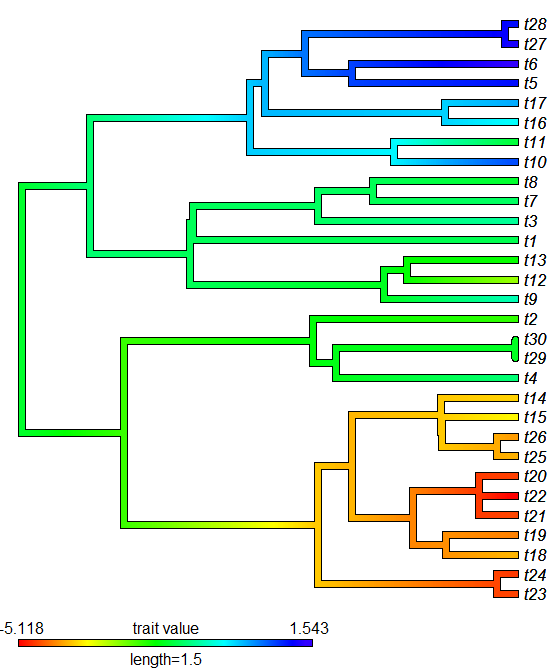 In addition, in previous versions of plotSimmap, the offset of tip labels is a function of the plotted edge widths. 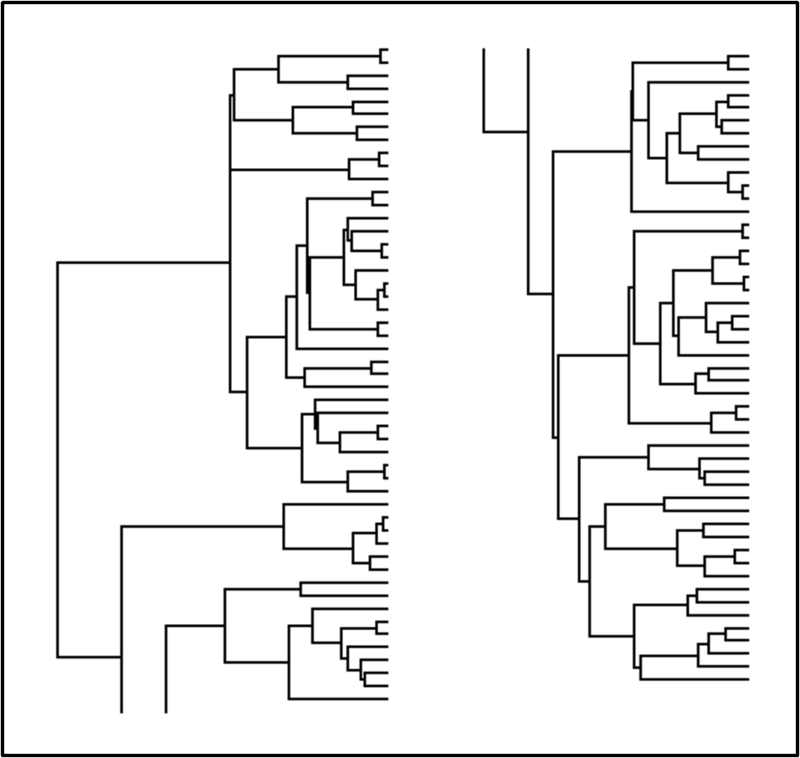 This meant that when I plotted to trees in the same object, but with different width edges, the tip labels did not overlay exactly. The way I fixed this is by migrating control of the label offset to the function arguments - and then I used a label offset based only on the interior, densityMap line widths. Note that this is pretty slow - to make it quicker, use fewer maps (say 100) or a lower "resolution" (densityMap argument res), which is just the number of times the probability/color is sampled along any path from the root to the tips.